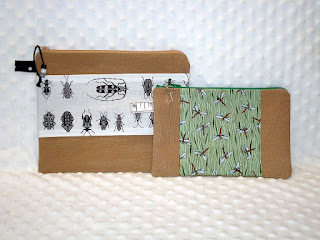 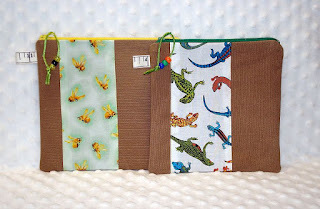 Sandra Sews :): Bug scraps - be GONE! A great way to use up those small pieces of bug fabric. The last one is my favourite, too. 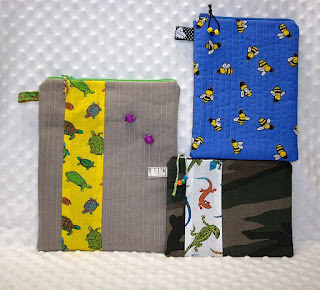 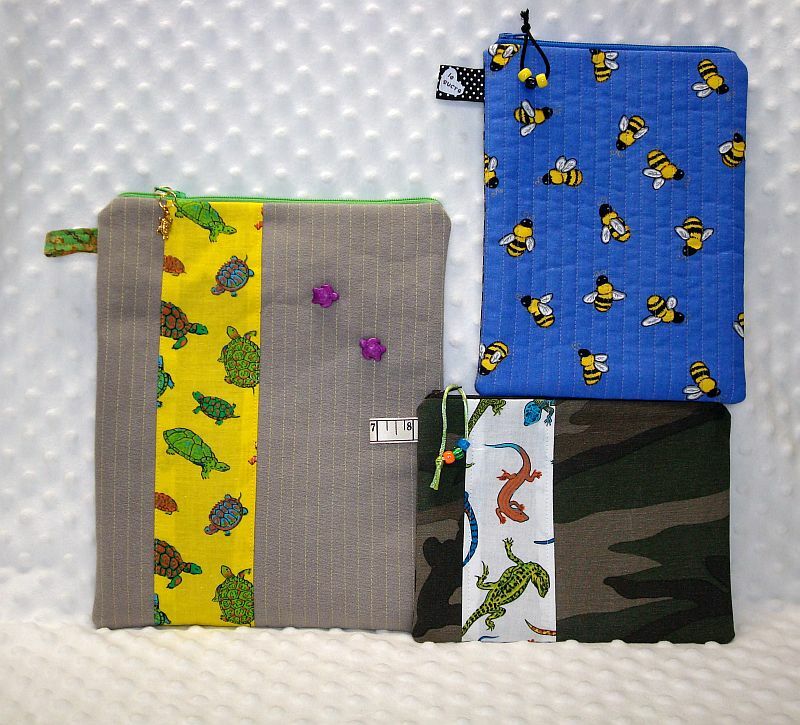 I especially love the turtle pouch! That's a good idea, to give away the samples that you get from the dentist. 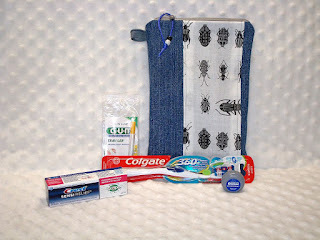 I've been going to the say dentist/hygenist so long, that now I just tell the hygenist which samples I want or don't want! 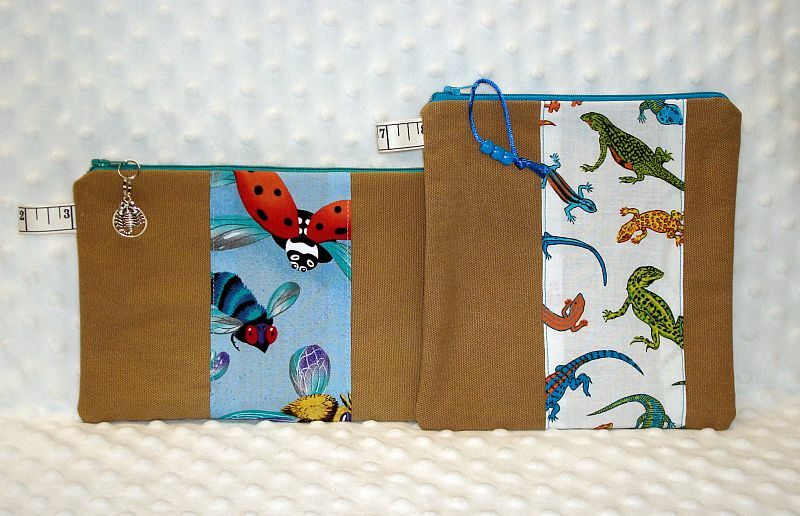 Twelve zippy bags!!!! I'm impressed. 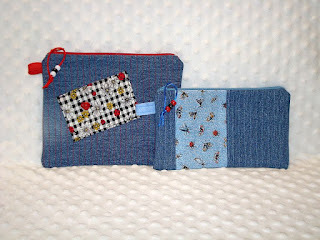 Nothing goes to waste in your sewing room does it Sandra, these are great!